What would you pay for a box set that includes Red Dead Redemption, Midnight Club: Los Angeles Complete Edition, L.A. Noire and Grand Theft Auto: Episodes From Liberty City? Twenty bucks? Fifty bucks? Two hundred bucks? Don’t be too eager to whip out your wallet on this one, as the existence of this package is still a bit up in the air. 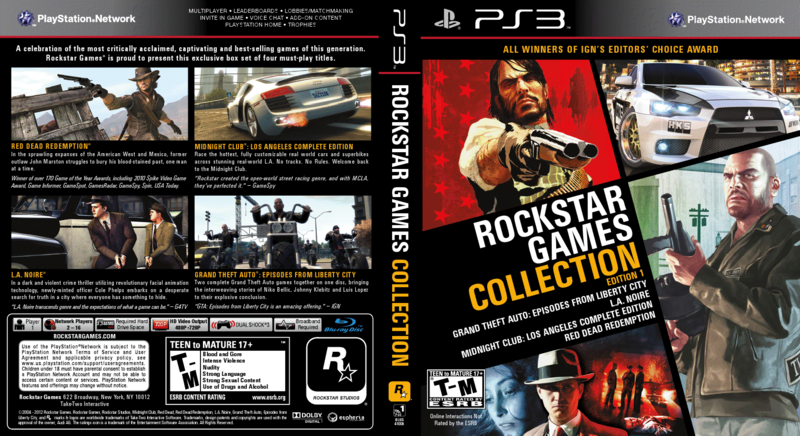 It seems that at some point last night various online retailers added a listing to their virtual storefronts describing something alternately called the “Rockstar Games Collection: First Edition” and “Rockstar Games Collection: Edition 1.” Whatever it’s actually called, here it is on Buy.com, and you can find this mystery game at CD Universe as well. According to these two retailers, the Collection will be available for both the Xbox 360 and PlayStation 3 and should hit store shelves at some point in November. If you clicked through to those two stores, you’ll notice that both listings fail to depict the game’s box art. Thanks to a third source however, we’ve tracked down what is purportedly the official artwork for the Collection, and you can find it in below these words (as usual, click to enlarge). According to that image, the Collection includes the four games mentioned above, as well as some (though not necessarily all) of the DLC additions they each received. So why mention this? It seems perfectly reasonable that Rockstar Games (or more accurately, publisher Take-Two Interactive) would want to issue a compilation title like this just in time for the holiday shopping season. There’s very little new work necessary to produce something like this, yet combining all of these hit games in a single release almost guarantees massive sales and commensurate massive profits. However, given the Collection’s supposed release date and those anemic retailer listings, we’re not entirely comfortable saying for sure that this thing either exists or is as fictional as John Marston’s steam-powered rail gun*. 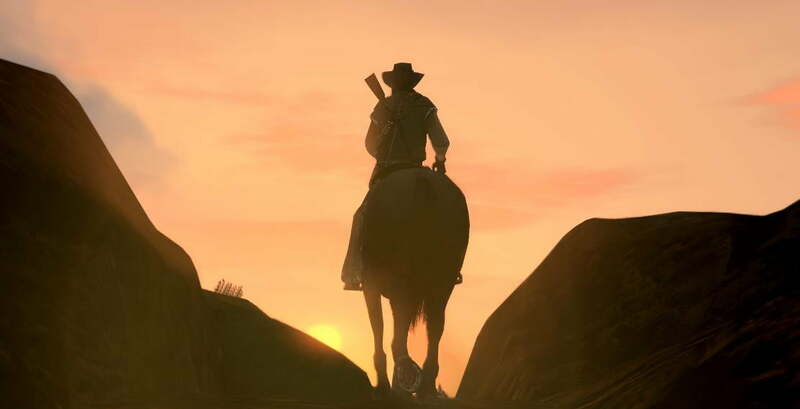 To that end we’ve contacted Rockstar Games directly. If anyone can confirm or debunk the validity of this Collection, it would be the company behind all of these games, right? • Red Dead Redemption – Winner of over 170 Game of the Year awards, Red Dead Redemption brings the dying West to life with a vibrant open-world, powerful story, and intense single- and multiplayer action. • Grand Theft Auto: Episodes from Liberty City – The explosive conclusion to the highest-rated game of all time, Grand Theft Auto IV, featuring two complete games on one disc: The Lost and Damned & The Ballad of Gay Tony. • L.A. Noire – The revolutionary crime thriller featuring MotionScan, a breakthrough technology that captures every nuance of a real actor’s facial performance, providing a level of realism, detail and emotion never before seen in a video game. Featuring brand new gameplay and a dark, hard-boiled detective story, L.A. Noire became the first ever video game to be recognized by the Tribeca Film Festival. • Midnight Club: Los Angeles Complete Edition – One of the highest-reviewed racing titles of this generation, featuring deeply customizable real world cars, non-stop open world street racing and intense multiplayer action. The Complete Edition also includes every downloadable real world vehicle and city section released since launch. Likewise, it confirms that the Collection will be available for $60 on the Xbox 360 and PlayStation 3, and that it should hit store shelves on November 6. * — Please don’t go looking for this gun. It only exists in our collective dreams.